Obama administration officials believe that a nuclear threshold détente will transform Iran into the kind of state one might trust to linger near the finish line of producing a bomb. After two years of negotiations with Iran over the fate of its nuclear program, the Obama administration has unveiled an agreement abandoning the pursuit of a decisive reduction in the Islamic Republic's breakout capacity – the ability to quickly and successfully produce a bomb – and lifting the economic sanctions that have hobbled its economy. The agreement not only sanctifies Teheran's retention of sufficient enrichment infrastructure to produce a bomb in a year or less, but also drops or dilutes a range of other longstanding demands, from closing a once-secret, heavily fortified underground enrichment facility to providing inspectors with a full accounting of its bomb-making research and development. As the Obama administration and its supporters seek to rally domestic and international support for this historic compromise, listen for what can best be described as a Hyde-and-Jekyll defense. The Obama administration has abandoned the pursuit of a decisive reduction in Iran's nuclear breakout capacity. 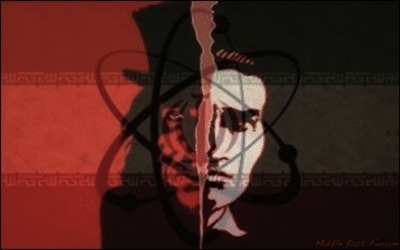 When discussing what will happen if the P5+1 world powers maintain their long-standing refusal to accept Iran's retention of proliferation-prone nuclear infrastructure, the administration has often depicted the Islamic Republic as a menacing force hell-bent on continuing its march toward the brink, whatever the consequences. Secretary of State John Kerry has suggested that Iran might "rush towards a nuclear weapon" if the talks collapse. Obama has characterized the alternative as "letting them rush towards a bomb." Outside of the administration, supporters of the pending nuclear agreement have typically offered more measured warnings that the Iranians could "take the lid off their program" and "rapidly ramp up their uranium enrichment." Most believe that war will be likely, if not unavoidable, if there is no agreement. However, when speaking about what will happen if the P5+1 recognizes and validates Tehran's nuclear threshold status, the administration and its supporters have depicted the Islamic Republic as an eminently rational actor likely to abide by the letter and spirit of a prospective agreement. Obama sees the P5+1 as offering the Iranians the prospect of being "a very successful regional power" in return for accepting monitored limits on their nuclear program. "Without in any way being under an illusion about Iranian intentions ... [or] the nature of that regime, they are self-interested," according to Obama. "It is possible for them to make a strategic calculation that, at minimum, pushes much further to the right whatever potential breakout capacity they may have." If we demand that Iran unclench its nuclear fist, we will supposedly get Mr. Hyde. If we give in, we get the friendly Dr. Jekyll. Put simply, if we continue refusing to lift sanctions until Iran fully unclenches its nuclear fist (dramatically downsizes its enrichment infrastructure, acknowledges past weaponization work, gives inspectors wide latitude, etc. ), we will get Mr. Hyde. But we will get the friendly Dr. Jekyll if we give in and accept the agreement Obama has put before us. And this is only if we give in – proponents of the agreement are quite certain that the good doctor won't pop up if the international community stands firm (i.e. that the Iranians won't, upon further reflection, make more concessions on the nuclear issue, or otherwise try harder to win international confidence). Obama administration officials warn that Iran could "rush" for a bomb if the international community demands a more decisive reduction in its nuclear infrastructure. Oddly enough, the Hyde portraiture isn't one of Iran reverting to its nuclear posture before direct talks with the Obama administration began in early 2013. 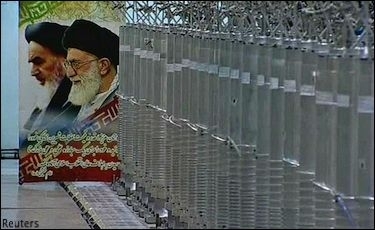 Back then, the mullahs weren't "rapidly" ramping up enrichment capacity (let alone "rushing" for a bomb), but increasing it slowly enough not to cross certain thresholds deemed likely to trigger Israeli and/or American military action (e.g., accumulating enough near-20% enriched uranium to produce through further enrichment sufficient weapons grade uranium for a bomb). The Iran they suggest will emerge from our failure to compromise is far more unhinged and oblivious to its people's welfare than the one they sat down with two years ago. And dumber, too – an attempt by Iran to "rush" for a bomb or significantly narrow its nuclear breakout time by ramping up enrichment capacity would be supremely stupid when international resolve is at a peak. While some proponents of the agreement are simply cherry-picking diametrically opposed characterizations of Iran to fit mismatched legs of a bad argument, many appear to genuinely believe that a nuclear threshold détente will somehow transform Iran into the kind of partner one might trust to linger near the finish line of producing a bomb, and that lack of one will put it on a path to war. There are three overlapping strands of reasoning in this argument. All have an elegant logic with a weak empirical track record outside of Iran and little applicability to the particulars of the case at hand. The first holds that lifting sanctions will accelerate Iran's integration into the world economy, creating disincentives to misbehave. "If in fact they're engaged in international business, and there are foreign investors, and their economy becomes more integrated with the world economy, then in many ways it makes it harder for them to engage in behaviors that are contrary to international norms," explained Obama in April. 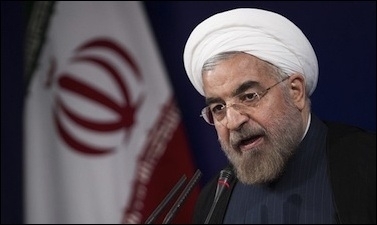 Lifting sanctions isn't likely to result in Iran's headlong integration into the world economy. Although there is much to be said for free markets and trade, economic integration hasn't reliably inhibited the aggression of states. The European continent was more economically integrated on the eve of World War I than at any time prior and for many decades after. In any case, lifting sanctions isn't likely to result in Iran's headlong integration into the world economy. This isn't a situation where a bankrupt dictatorship opens up to the world out of desperation and falls prey to socio-economic forces beyond its control. The Iranian regime is getting a direct financial windfall out of this (access to frozen Iranian assets worth as much as $150 billion, ability to sell oil, etc. ), which it can simply pocket while forgoing the kind of increased trade and foreign investment that might constrain its freedom of action later. The second line of reasoning holds that drawing Iran into closer economic and socio-cultural contact with the rest of the world will cause religious extremism, xenophobia, and other unsavory attitudes among the public at large to give way to materialist and individualist concerns that will constrain government decision-making. Obama "believes the more people interact with open societies, the more they will want to be part of an open society," says Ivo Daalder, Obama's former NATO ambassador and head of the Chicago Council on Global Affairs. There's little evidence that Iranian public opinion supports the regime's nuclear brinksmanship. But this presumes that the Iranian public has influence over its government's aggressive regional and international policies. As was made clear in the deadly aftermath of the rigged 2009 elections and at many other times, the Iranian government can and does ignore public opinion. In any case, there's little evidence that Iranian public opinion supports the regime's nuclear brinksmanship. While most Iranians do express support for a civilian energy program, few attach a high priority to it. Despite a steady diet of government propaganda heralding the nuclear program as the sacred right of the Iranian people, only 6% of respondents in a September 2013 Zogby poll said that continuing Iran's enrichment program was one of their top two policy priorities. Iranian leaders threaten world peace because of ideological and strategic reasons, not public opinion. Obama has argued that the pending nuclear agreement could "strengthen the hands" of President Hassan Rouhani and other "moderates." Finally, Obama has argued that an agreement "could strengthen the hands of more moderate leaders in Iran." President Hassan Rouhani and other "moderates" will gain clout in Iran's government if there is a deal on his watch, while "hardliners" will gain influence if there isn't one. But this is a misreading of what causes the strength of moderates in government to fluctuate. This variable is in large part a function of how aggressively radical mullahs vet who can run in elections. So-called "moderates" are allowed to ascend the ranks of power when the system is under threat and Supreme Leader Ali Khamenei needs them to safely channel public dissent and/or soften international hostility to Iran, but they lose clout when they are no longer needed to deflect such challenges. Moderates are allowed to ascend the ranks of power when the system is under threat, but they lose clout when no longer needed. Might not the exorbitant financial payoff to the Iranian state of having sanctions lifted boost the legitimacy of the system and thereby weaken moderates? Alan J. Kuperman, head of the Nuclear Proliferation Prevention Project at the University of Texas at Austin, is concerned that such a windfall "would entrench the ruling mullahs, who could claim credit for Iran's economic resurgence." Moreover, Kuperman adds, the Iranian regime will acquire "extra resources" to "amplify the havoc it is fostering in neighboring countries like Iraq, Syria, Lebanon and Yemen." And once a nuclear deal is signed, fear of provoking Tehran to violate it will surely discourage the international community from punishing it for its terrorism sponsorship and bloody proxy interventions in the region. Rouhani may get a personal boost from getting sanctions lifted on his watch, but it's a mistake to translate that into broad advancement of "moderates." The Iranian president may be a soft-liner on some domestic issues, but he is no less committed to realizing Iran's nuclear ambitions than so-called hardliners. Indeed, he is arguably more so. Many hardliners are more interested in using the nuclear program to throw a wrench into Iran's relations with the West and keep it on a "rogue" footing than in the delicate task of preventing the international community from stopping its eventual construction of a bomb. Not surprisingly, the above-mentioned Zogby poll showed that Iranians who believe Iran should have nuclear weapons are more likely to self-identify as Rouhani supporters than those who don't. The reality is that we don't know what will happen inside Iran in the years to come. But it's a good bet the nature and temperament of the regime won't change dramatically for better or worse as a result of whether or not the international community sanctifies Iran's nuclear threshold status. The nature of the Iranian regime likely won't change dramatically for better or worse as a result of the nuclear agreement. Although Obama administration officials are quick to insist that their proposed nuclear agreement with Iran is a good idea regardless of the nature and intentions of the Iranian regime, no one really believes this. If Iran is completely unchanged by its opening to the world, then the best case scenario is that we'll be exactly where we are today when modest restrictions on its enrichment capacity expire in 10 years, only Iran will have recovered economically from the impact of sanctions, shattered the global coalition arrayed against it, and obtained the internationally sanctioned right to ramp up enrichment. The worst-case scenario is, well, a lot worse. 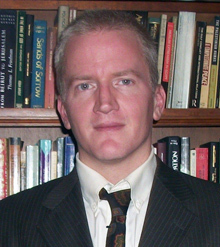 Gary C. Gambill is a frequent contributor to The National Post, FPRI E-Notes, The Jerusalem Post, Foreign Policy, and The National Interest. He is a research fellow at the Middle East Forum and was formerly editor of Middle East Intelligence Bulletin and Mideast Monitor.